The Allegiance Convertible Car Seat is safe and comfortable for your little one while you’re on the go. 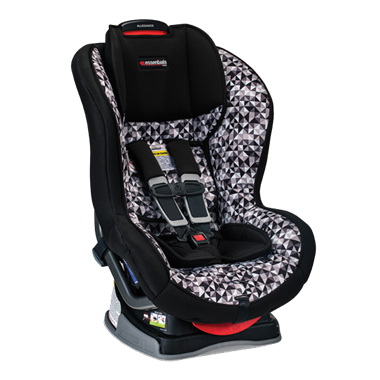 Designed with Britax safety technologies to help provide children extra protection on-the-go. Babies grow quickly, and the 10-position harness adjusts to keep up. Installation is easy using lower anchors that lock into place with a click and are released with the push of a button. Plus, foam padding and a three recline positions keep your baby comfy and cozy along the way.